The Training and Quality Unit executes, on behalf of the TOBB, the largest legal representative of the Turkish private sector, the proceedings that relate to training, the Quality Management System and the “Chamber & Commodity Exchange Accreditation System”. Multiple training programs are designed and implemented by the Unit, for native and foreign missions as well as for the staff of the TOBB and those of the associated Chambers and Commodity Exchanges. Orientation trainings are held for the recruits to help facilitate their adaptation to the working milieue; while other staff are encouraged to attend a number of other trainings arranged by TOBB and other institutions. Similar programs are designed for the Secretaries General and the other staff of the associated Chambers and Commodity Exchanges, to ensure service harmonization, within the context of the legislation in effect. The TOBB Economy and Technology University’s Centre for Continuing Education, Research and Implementation (TOBB ETÜ SEM) is the single most important service supplier and external stakeholder in such trainings. 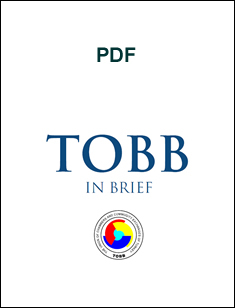 The hosted native and foreign missions (including foreign trainers), on the other hand, are briefed about the TOBB’s organization, services and activities – and when needed, also trained extensively. The Unit, secondly, executes the Quality Management System, with all TOBB staff’s active participation and valuable contributions. The ISO 9001 Certificate, first granted in 1998, has been renewed for another three years, following a successul “Certification Audit” performed by the Turkish Standards Institution (TSE) on Jan 19-20, 2010. As the system requires, in the process, all of TOBB’s staff are asked to take a basic training on the Quality Management System, while on the other hand internal audits are performed in all units before the TSE’s final audit. Last but not least, the Training and Quality Unit carries out the tasks associated with the “Chamber Accreditation System”, including the secretariat of the Accreditation Board entrusted with the implementation of the system, which was initiated in cooperation with the British Chamber of Commerce in 2002, in an attempt to “enhance the Chambers’ service quality”. The system, continued by TOBB alone since 2005, and enlarged in 2008 to include the Commodity Exchanges, covers 68 Chambers and 17 Commodity Exchanges as of 2010 year end. The accreditation process for the 13 Chambers and the 4 Commodity Exchanges, the applications of which were accepted in 2010, on the other hand, is currently underway.